Hiya everyone! Before I crack on with this post, I would just like to say the spending money used in this post was gifted Hotels.com but all opinions and views in this post are completely my own! If you don’t live near Birmingham or have never visited Birmingham then you are seriously missing out. Birmingham is the thriving metropolitan city with a ton of areas for everyone. If you don’t live anywhere near Birmingham then don’t worry because there are TONS of cool hotels in this city. I mean COOL AS HELL. There’s some proper fancy 5 star hotels but also some hostels and some trendy hotels, so there is TRULY a hotel to fit everyone’s needs if you gotta stay over to visit the city. Now I can’t truly speak up much on the food centre of Birmingham, I eat there a lot but I’m vegan so I don’t eat EVERYWHERE. Obviously, there is a bunch of McDonald’s, Burger King’s etc but I am a strong believer that if you’re going to go to a new city, you should eat at places that you wouldn’t get back home! Not Dogs (aside from Chessington) is 100% exclusive to the city of Birmingham. It’s a completely veggie, with the option to make things vegan, fast food restaurant. They do an array of hot dogs, burgers and sides and they are all incredibly tasty. It’s always my go-to whenever I go into the city. For reference, I am eating the pizza hot dog from there and it has marinara sauce, vegan mozzarella and fresh basil! This is also located in Link Street in between Bullring and Grand Central. My choice for dessert in 3 Three’s, near Martineau Way. It’s again an entirely veggie restaurant. They sell sandwiches, wraps, paninis, nachos and milkshakes as well but I always go just for the dessert options. It’s different every time they open up because obviously, they bake on the day! I went for a rocky road (which I put in my bag until I got home, hence the photo is at home!) because rocky road was always my favourite growing up and I haven’t had it in YEARS. We stan rocky road on this blog. One thing Birmingham is renowned for is having a TON of museums. I’m talking a lot. I mean, there’s Cadbury World that you have to pay for but push that aside, and the rest are mostly free. There’s the Birmingham Museum and Art Gallery which is predominantly home to all of local history and art which is pretty nice if you literally know nothing about Birmingham! The German Christmas market is also currently in town! Note to everyone: it’s only in town throughout November and December. Sadly no Christmas market in March. I know I’m sad about that too. All jokes aside, the market is such a pretty thing to look at. Obviously, it’s free to look around but if you want to buy something, you have to obviously pay. But for me, the market is just a nice time to have a scroll (unless you go weekends or after work, it’s then a panicked shuffle) and look at what there is to offer. Birmingham is also home to a TON of gig venues. You can go to the big guys with arenas or you can visit little small venues. They are dotted all around the city centre. The Arena Birmingham is in the actual city centre, located somewhat near the Sea Life Centre, and Genting is a little further out with a short top on the train to the NEC! Alternatively, there are the likes of 02 Academy Birmingham and 02 Institute Birmingham which are my personal favourites for gigs. You can also travel a little further out for Coventry or Wolverhampton but Birmingham has plenty enough to see and do with gigs. There’s also an array of shopping you can do in Birmingham. It’s home to the well-known Bullring shopping centre which has over two hundred shops and stalls. If you need it, there’s probably a shop in or around Bullring. 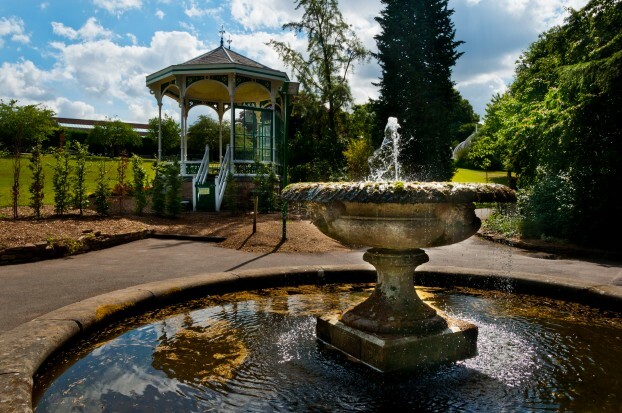 There’s also the Botanical Gardens which are in Birmingham. There’s are absolutely stunning and not that expensive to get in! I know for an adult it’s just under £8 to enter which with the added fact that you can get spend all day there with a picnic, it’s not too bad. When I say they are stunning, they are stunning. I’ve been in the summer and autumn seasons and I would say I love the gardens in both! There’s obviously so so much more to visit and do within Birmingham. It’s a city with so much to offer. Let me know if you’ve ever been here, or if you want to! I lived in Birmingham / West Midlands for my later childhood, teenage years and early 20’s. It’s a great city that doesn’t deserve the bad reputation it once had. I haven’t been back since 2003, but I’d like to see it again. They were redeveloping the Bull Ring when I left. This is a cool post. The most I’ve been to Birmingham has just been for a couple of gigs, and I’ve never had a chance to look around and see what the city has to offer. Going to Bring Me The Horizon in Cardiff tomorrow! How did you find it? I loved it! Oli’s dad was actually in the pit by me, and I had a cheeky selfie haha! It’s an amazing city! I hope you can return and visit more of it! I love this post, Birmingham is like a second home to me from the amount of gigs I’ve been to!